In each city I’ve lived I have my outdoor happy place, that part of the city I can visit that is good for my soul. I have my favorite cafes, restaurants, etc. 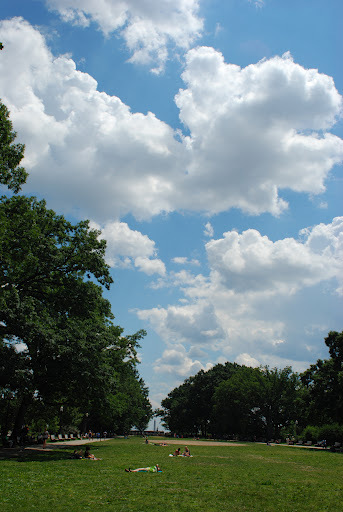 as well, but there’s nothing better than fresh air and sunshine (weather permitting) to increase the happiness levels. In Buenos Aires it’s Parque Tres de Febrero (the rose garden! the palm trees! the lake!) and in Brooklyn it’s Grand Army Plaza area, which includes the Brooklyn Museum, the beautiful main branch of Brooklyn Public Library, and an entrance to Prospect Park. 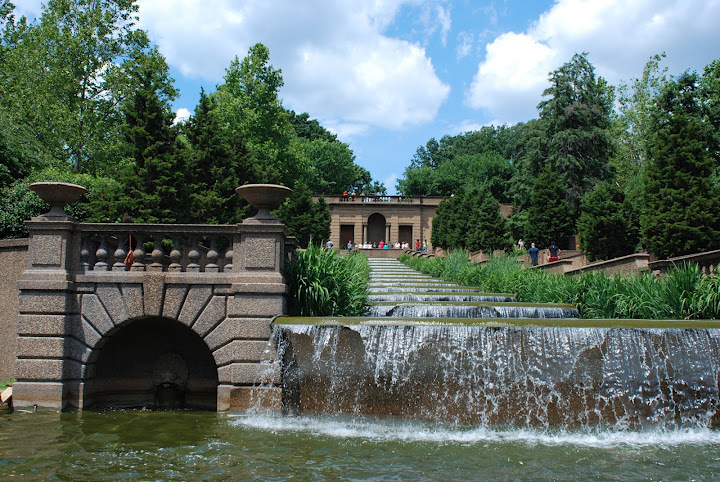 In DC it’s Meridian Hill Park, and lucky me I got to go back there this weekend. 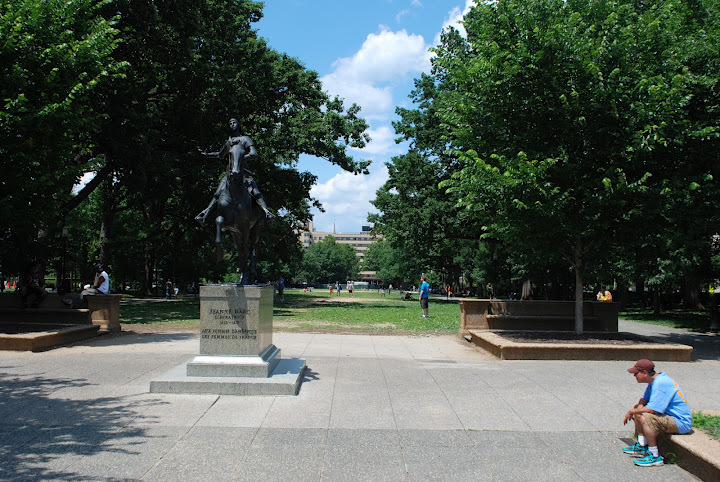 Meridian Hill Park is politely tucked away in NW DC, right where the neighborhoods of U St., Columbia Heights, Mt. Pleasant, and Adams Morgan meet. Although smack in the middle of some busy areas, it does a good job of being fairly isolated and is therefore a wonderful escape. Multilevels, waterfalls, ducks, statues, green space, shade, sunshine, and built in stone benches all make for a gorgeous space. On Sundays you’ll find a talented drum circle going on, and most days you’ll find people sunbathing, reading, running, picnicing, tightrope walking, doing yoga, and everything else you can enjoy in a pretty park. On my short weekend visits back to DC I usually don’t have time to do everything I’d like to, so it was a pleasure to stroll through the park on this visit. Do you have a favorite outdoor spot in your city?